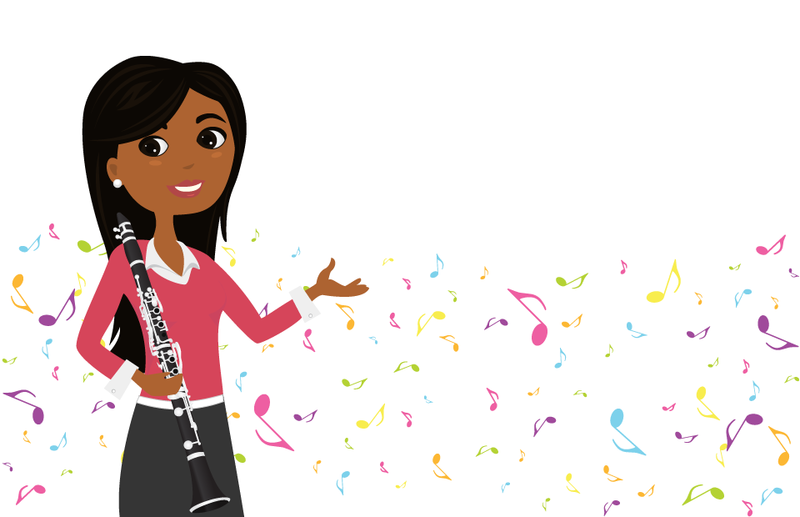 Learn the Fundamental Techniques of the clarinet. Practice Goal Setting and Acheiving strategies. Express Creativity through musical interpretation. Increase Coordination and multi-tasking skills. Develop Musicality through phrasing, interpretation, and expression. Scheduling: A standard lesson is 30 or 60 minutes long at the same time every week. Please let me know which lesson length works best for you. Lessons can be held weekly, every other week, monthly, or on a drop-in basis. Newer students will benefit from more frequent lessons. Studio Policy: For more information on rescheduling lessons, missed lessons, illness, and late arrivals, please view our studio policy. Location: Lessons are held in a home studio in East Courtenay. Please contact me for the address and driving directions. Payment: I accept credit cards payments via Square prior to the lesson monthly or weekly. If you would like to pay by cheque, post-dated cheques for the full-term of study (Sept – Jun) are due before the first lesson. Cheques are to be made out to Julie Nichol and dated the first of the month. *After selecting a lesson day I can calculate your fixed monthly fee.